A design by John Freeman (Marine) which had a 9 year production run from 1975 to 1984. Primarily a river cruiser but capable of making sheltered estuarial and coastal passages in fair weather. The cockpit has twin helm seats and bench seating to rear. Steps down to an open plan cabin offering 4 berths. The forward berths can be isolated by opening the hanging locker door. (Presently shelved) Portside dinette converts to a double berth. Starboard galley offers ample stowage and has a stainless steel single bowl sink with h/c water via a calorifier. 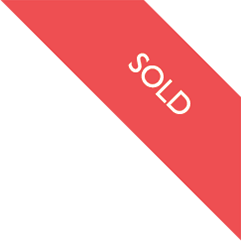 Flavel Vanessa 2 ring hob, oven and grill. Portside W.C with portaloo. H/C water connections for shower/sink if required. Last lifted and antifouled April 2016. Engine serviced March 2018. Shore power. 12V sockets B.S.C exp April 2019. 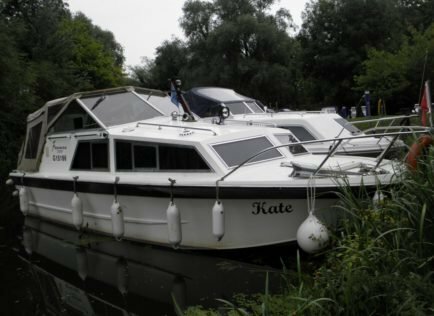 Kate was built in 1982, and is offered for sale in excellent condition with an economical Ford Watermota petrol engine.